BEIJING, Nov. 13 (Xinhua) -- Chinese President Xi Jinping is scheduled to pay state visits to Papua New Guinea, Brunei and the Philippines from Nov. 15 to 21, and attend the 26th Asia-Pacific Economic Cooperation (APEC) leaders' meeting in Port Moresby. The tour, observers say, is expected to further deepen China's friendly ties with its neighbors, invigorate regional cooperation and integration, and rally more support for open economy and common development against the backdrop of daunting challenges in the global landscape. The visit to Papua New Guinea will be the first by a Chinese head of state to the Pacific island country since it established diplomatic relations with China in 1976. Papua New Guinea's foreign minister, Rimbink Pato Obe, said his country is looking forward to Xi's visit and will do its best to make the visit a success. Since the two countries established a strategic partnership in 2014, bilateral cooperation has been moving on a fast track and has set a model for interaction between China and Pacific island states and South-South collaboration. Currently, Papua New Guinea is China's second largest trading partner and largest investment destination in the region. In the first half of this year, Papua New Guinea officially joined the Asian Infrastructure Investment Bank (AIIB) and became the first Pacific island state to sign a memorandum of understanding with China on Belt and Road Initiative (BRI) cooperation. 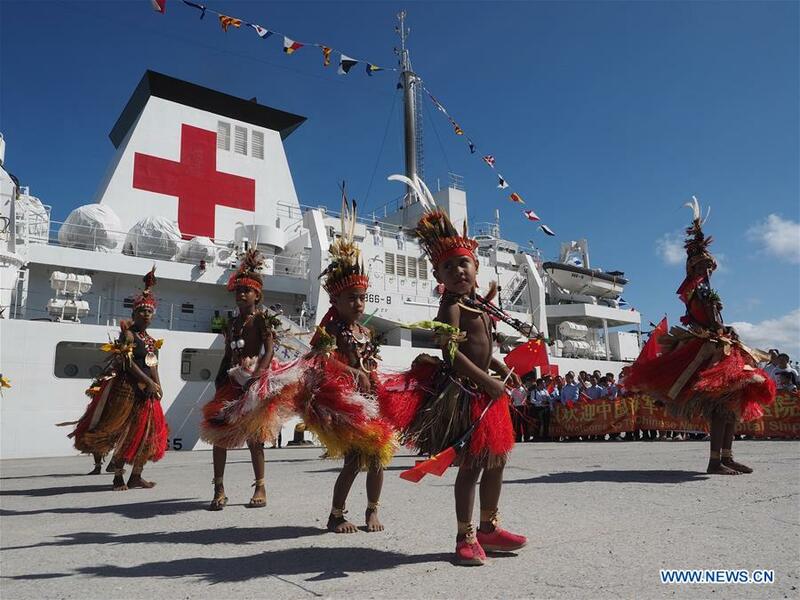 Meanwhile, Chinese doctors have been providing free medical services in Papua New Guinea, Chinese technicians teaching local farmers how to plant upland rice, and Chinese engineers helping upgrade Port Moresby's airport expressway. During his visit to Papua New Guinea, Xi is scheduled to exchange deep views with leaders of the country over closer ties and global and regional issues of common concern and witness the signing of a series of cooperation agreements. Chinese ambassador Xue Bing said fruitful results are expected in such areas as politics, trade, technology, finance, infrastructure and people-to-people exchanges. The trip will also be Xi's second to the Pacific island countries following the first one in 2014. While in Papua New Guinea, he will meet with leaders from the Pacific island countries that have diplomatic ties with China. Chen Fengying, a research fellow at the China Institutes of Contemporary International Relations, noted that the Pacific island states represent an important part in China's neighborhood and along the 21st Century Maritime Silk Road. "President Xi's visit to Papua New Guinea will help further develop China's relations with countries in this region and boost regional peace, stability and prosperity," Chen said. Xi's trips to Brunei and the Philippines, two of China's Southeast Asian neighbors, will be his first as president. In Brunei, Xi will meet with Sultan Hassanal Bolkiah, and the two sides are expected to sign a series of cooperation agreements and issue a joint statement. China and Brunei enjoy close historical and cultural links. Since they established diplomatic ties 27 years ago, their relationship has always been regarded as a model of big and small countries treating each other equally and getting along peacefully. Sultan Hassanal Bolkiah has traveled to China for more than 10 times for visits or meetings. With political mutual trust deepening and practical cooperation booming, the bilateral relationship is at its best time in history. As one of the AIIB's earliest founding members and a participant in BRI cooperation, Brunei hopes to seize the opportunities presented by China's development to diversify and develop its economy. Chinese enterprises are playing an active role, helping the country operate its only container berth at the deep-water Port Mora and build its first cross-sea grand bridge. In the first quarter of this year, China became Brunei's largest source of international tourists. During his visit to the Philippines, Xi will meet with President Rodrigo Duterte and other leaders of the country. Duterte said Xi's visit will enhance bilateral relations and the friendship of the two countries will blossom into even brighter excellence. China-Philippines relations have achieved remarkable improvement since 2016. Diplomatic, economic and trade consultations have been fully restored, a new maritime cooperation mechanism has been set up, Chinese investment in the Philippines is growing rapidly, and China has become the country's largest trading partner and second largest source of international tourists. Both Brunei and the Philippines are members of the Association of Southeast Asian Nations (ASEAN), a regional bloc that has always been a priority in China's neighborhood diplomacy and a good example in BRI cooperation. As this year marks the 15th anniversary of the China-ASEAN strategic partnership, Xi's visits to Brunei and the Philippines will further raise the quality of China-ASEAN interaction and the level of the China-ASEAN community with a shared future, said Zhai Kun, a professor of international relations at Peking University. APEC, over the nearly 30 years since its establishment, has been committed to the spirit of openness, inclusiveness and cooperation. In face of the rising waves of unilateralism, protectionism and anti-globalization sentiment, much attention has been riveted on how the Asia-Pacific region, a main driver of global economic growth, is going to deal with the challenges. The week-long APEC gathering in Papua New Guinea is held under the theme of "Harnessing Inclusive Opportunities, Embracing the Digital Future" with three policy priorities -- improving connectivity and deepening regional economic integration; promoting inclusive and sustainable growth; and strengthening economic growth through structural reform. The main agenda has already revealed the choice of Asia-Pacific economies. Former senior APEC official Wang Yusheng said APEC now has new development opportunities as the new circumstances require countries in the region to further open up and promote free trade. The Chinese president will deliver a keynote speech at the APEC CEO summit, attend an informal leaders' meeting and meet leaders of other APEC economies. From the slew of substantial opening-up measures announced at the Boao Forum for Asia early this year to the vision of jointly building an innovative, inclusive and open world economy proposed at China's first import expo, China has repeatedly demonstrated its commitment to openness and cooperation. Kin Phea, director general of the International Relations Institute of the Royal Academy of Cambodia, said he hopes that China will inject great vigor into APEC's efforts in safeguarding the multilateral trade system.